Go ahead. Take a seat. This is going to be a doozy of a post. Taking that first step out in faith can be scary. I know, because that is right where I am. If you have been following my blog, you have heard me reference changes coming and an amazing God encounter that I had a while back. I have been at my job for 14 years. I have not been happy for a while, but I was a slave to a paycheck. I just told myself that this was it and that everyone has to work. I just needed to deal with it and accept it as a part of life. My exhaustion and stress level were affecting every other area of my life- the type of mother, wife, teacher, and youth leader that I was. I felt like I was in a rut. In October 2014, Otis and I took a trip to NY for the Hillsong Conference. At the very last minute as we were headed out the door to the airport to leave, I ran back in my room and randomly grabbed a book from my nightstand. (I generally keep my unread books in a stack on the top of my nightstand and once they are read I either pass them on or move them to a different shelf.) This particular book that I had grabbed was one that had been sitting on my nightstand for literally years. It was a book that I had purchases off of the $5 sale table at the Christian book store and never read it. It always seemed to get shuffled to the bottom of the stack. I honestly couldn’t even have told you what the book was about. I grabbed it to take on our flight. I figured that I would have a few hours and that I could maybe get through it and at least move it off my nightstand. God’s timing is absolutely perfect. The book was Five Little Questions That Reveal The Life That God Designed For You by Dannah Gresh. I was already going into this trip with an expectant heart, but I was not prepared for becoming such a mess before we even landed. During our flight, Otis fell asleep. I sat in the window seat and read the entire book. I had tears pouring down my face the entire time. It was like my heart and emotions were in those pages. She told her own story– about feeling a pull and wanting to serve God completely. She talked about being a slave to a paycheck and how she now regrets those years that she wasted being miserable. She talked about serving God no matter what phase of life you find yourself in, but at the same time preparing yourself for change. This was me. I pretty much had an ongoing conversation with the Lord the entire flight. I felt Him whispering to my heart that He had more for me than life as I was currently living it. How could I effectively serve Him while going through the motions of life in a fog? I felt the reassurance that this was not just a me being tired or selfish thing, but truly a God thing. I really felt the prompting in my spirit of the time of 18 months. I dried my tears and gained composure. I did not want to have this conversation with Otis right then. This was no doubt going to be a loaded one that required lots and lots of discussions. We gathered our luggage, jumped in a cab, and headed into the city. All the while, my heart was racing and my thoughts were all over the place. The very first night at the conference, they sang the song Oceans. No surprise there, right? That song is extremely popular and I would go on to hear it numerous times during the praise and worship. There was just something about that first time. The words to the song are very missionary friendly…you know …. The great unknown where feet may fail…. Without borders…how much more missionary can you get. Don’t get me wrong- it is a fantastic song. I just never applied it to my life on an intimate level. That is until that night. The Lord whispered to my heart while we sang the chorus- this isn’t about missionaries- it’s about you. 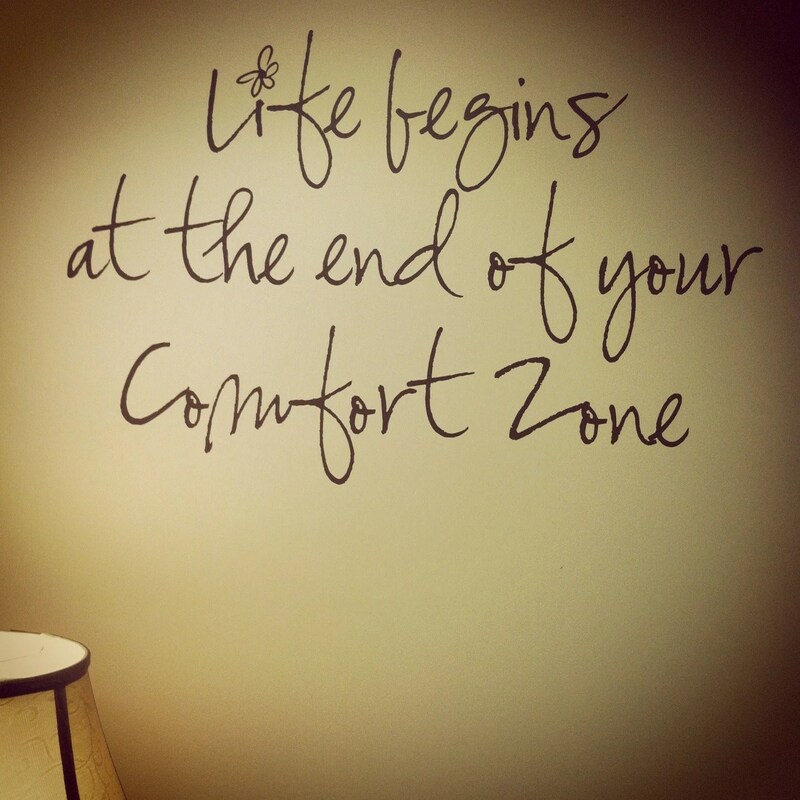 Are you willing to step out of your comfort zone and let me remove the borders from your planned out life? Are you willing to step out of the boat onto the waters? When I had the conversation with Otis, He was so supportive. He wasn’t 100% sure how it was going to work, but neither was I. He just knew that If God told me to do something that we had to walk in obedience. Now 18 months out from the conference would have been April 2016. Let’s be honest, it is really easy to talk about something that is far off like that and think that it will all work out later. I had notebooks full of plans. I was trying to wrap my human mind around this plan and trying to figure out how to make it work. If we paid this much extra on this car then it would be paid off and if we put this much into savings then at the end of the 18 months we would have that much. Human’s Plans do not always equal God’s plans. Not a lot of that stuff worked out. I was fine with that because we were still 18, 17, 16, 15 months out and I had time for God to send me a sign or open a door. We chose to tell a few friends and have them pray with us. Thank God for them. They held us up in prayer and sent encouraging cards and texts that always came at the perfect time. “April” had become this thing in the future that we were going after but it always felt out of our grasp. Then came the doubt and fear. Was this for real? We could never make this a reality! Did I even really hear from God?!? Those are the thoughts that went around in my brain nonstop. As April approached, the fear and doubt grew. The excitement also grew, but the fear and doubt did not go away. I found myself thinking about Disney. What if we could not afford are usual Disney vacations every other year!?! What about the family trip to New York that I secretly had been hoping for in 2017? What about our dream vacation to Australia for our 25th wedding anniversary? (now I know that is still a while away, but the enemy was taking my dreams and using them against me. he was using them to cause me to doubt the greater dreams in my heart of fully trusting God). We were coming home from somewhere. We were all together in the truck and had just pulled into the driveway and then we switched radio stations randomly. It landed on a Christian station with a voice that we were familiar with and had listened to over the years. He said there is just something that I don’t understand about people and vacations. So, I sat in the truck in our driveway and listened to what he had to say. He talked about how people are willing to work 40-50 hours per week at a job that they are miserable at just for 2-3 weeks of vacation per year. They are trading 49 weeks of misery for 3 weeks of happiness. That doesn’t add up. ok God, I hear you. I had never thought about it that way. So, from that night on I decided in my heart that God had me. He would take care of me and my family. Life might look different, but He ultimately knows the desires of my heart. I don’t want to be holding on so tight to the GOOD that I am missing out on the GREAT that He has for me. When friends of ours decided to go into the missions field, they did not just go buy plane tickets, fly to another county, and trust that God was going to lead them. Our God is a God of order. They gathered backing and support. They went through training and preparation. That is what we have been doing really the past 4 or 5 months. We do not intend on having life come to a halt. We have had meetings and asked for advice. We have planned a trip already for December and have been saving for that. We have paid off bills and made adjustments. We have saved money and researched online work from home jobs. We have talked to our kids about how things might be different. I have put a major dent in our Christmas shopping. (for real though, I have never, ever been this ahead of the game) We have been doing our best to do our part. We are praying like crazy and again are so thankful for those that have been praying with us. Is it true that the first step is the scariest? I turned in my notice… a little later than the April goal, but it is done. My last night at my job is tomorrow night. I have talked to people on the phone that have said they can hear a joy in my voice. I have hugged people that said they feel a peace and others have said that so much tension in my body is gone. This first step out of the boat can be scary. I am looking forward to a bright future. God has already opened so many doors for my family and I believe with all of my being that He is going to continue to use us in a mighty way in our community. I am looking forward to living in my passion. I want to no longer be an overgrown toddler that has to constantly rush home for naptime. I am so excited to give my kids the mom that they deserve and not a few good hours before I am ready to crash again. There is no treading water with God. You are either in or out. You are obedient or not. You go when He says go or you might be missing out on His will completely. I don’t want to miss out on God. I want to live my life up to my full spiritual potential. I want my kids to see me walk in my faith. I want them to know that serving God does not always come in a pretty little package. Sometimes life is scary/messy, but fully trusting the Lord is always worth it. I want them to know that no matter what life throws at them in the future that God will uphold them and that He will direct their paths. I want them to be able to say, I can trust Him with this, because I remember when I was a kid and my parents trusted Him totally and He took care of them. So, I am typing this and full of joy. I am full of peace. I am also full of expectant hope. I know that this step in obedience may just be the step that ends some other areas of attack. God’s timing is not a coincidence. I am believing for amazing things. There will definitely be more posts and updates on this topic in the future, but now at least everyone knows where we are.